From Texas to Rochester NY, Juana speaks at college campuses during Hispanic Heritage month. 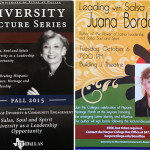 On September 25th, Juana spoke at the University of Texas and on October 6th, she spoke at Harper College. 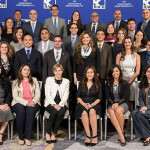 The Hispanic Association on Corporate Responsibility (HACR) honored 33 young professionals at the 2015 HACR Young Hispanic Corporate Achievers™ (YHCA) program in Atlanta, Ga. on April 28. Faculty at Bunker Hill Community College in Boston sing De Colores a song about diversity to celebrate a program Juana led on how to cultivate Inclusive Excellence. The first quarter of 2015 found Juana traveling from the East coast to the West Coast onward to Florida and then back to Colorado to speak to college students about the multicultural age they will be leading. 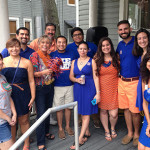 At her alma mater, the University of Florida, Juana keynoted the “Tu y Yo” Hispanic-Latino Collegiate Forum. Onward to New Jersey to William Paterson University which is a Hispanic serving organization. Juana spoke at their Women's history month celebration and met with student leaders who are a diverse and engaged group. In California, Loma Linda University sponsored their 3rd Power of Inclusion conference. Loma Linda is one of the premiere medical schools in the country. Juana spoke on "The Power of WE" and worked with faculty and staff on bringing includion into the classroom and university culture. 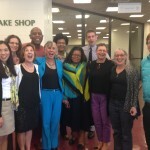 Juana Bordas will be teaching at the Latino Policy Forum Leadership Program. 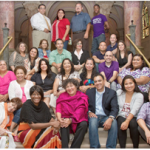 The Illinois Latino Nonprofit Leadership Academy is an intensive nine-month program consisting of leadership workshops, on-site consulting, mentoring, and coaching for individuals who work for Latino nonprofit organizations throughout Illinois. The Academy provides an opportunity for two individuals -an executive-level and an emerging leader - from up to 10 selected organizations to build personal and organizational leadership skills. 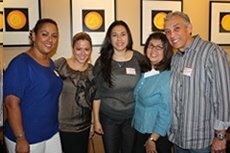 Individual participants affiliated with Latino-serving nonprofits are invited to apply as well. 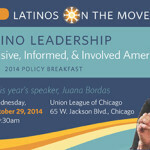 Juana Bordas will present a multicultural leadership speech at the University of Illinois UIC has a higher percentage of Latino and African American students than any Big 10 university. We rank 26th in MA degrees awarded to Latinos and African Americans. 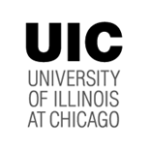 One quarter of UIC undergraduate students identify themselves as Asian American. UIC ranks among top U.S. medical schools in African American and Latino physicians. Since 1989, UIC has doubled our African American, Latino, and Native American tenured and tenure-track faculty. Fourteen percent of faculty are Asian American/Pacific Islander. 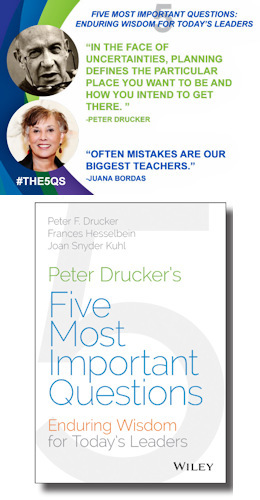 Juana Bordas, as a multicultural leadership expert, was invited to the 2014 Awards Gala. The 2014 Awards Gala is the Grand Finale of the Leadership Institute & Recruitment Expo. It brings together the wonderful people who support our work, and gives us the opportunity to honor America’s top Hispanic college talent as they prepare to embark on their professional journeys. Juana Bordas, best selling author and multicultural leadership specialist will be joining Union Institute & University’s Board of Trustees Meeting. Members are selected for their commitment to the University’s purpose and mission. They are active and involved participants in the governance of the institution, and committed to its growth and development. 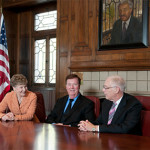 The University Board of Trustees meets four times each year in January, April, July, and October. Join Juana Bordas award-winning author of The Power of Latino Leadership: Culture, Inclusion, and Contribution and Salsa, Soul and Spirit: Leadership for a Multicultural Age in a discussion on how Latinos are transforming America – with their inclusive values, political engagement, and entrepreneurial spirit. Nationally acclaimed speaker, motivational coach and diversity aficionado Juana Bordasshares what Latino culture teaches us about leadership. 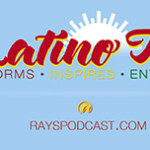 Bordas and Host Ray Collazo discuss her latest book “Power of Latino Leadership” that lays out the 10 principles that guide Latino leaders and our nation’s future. 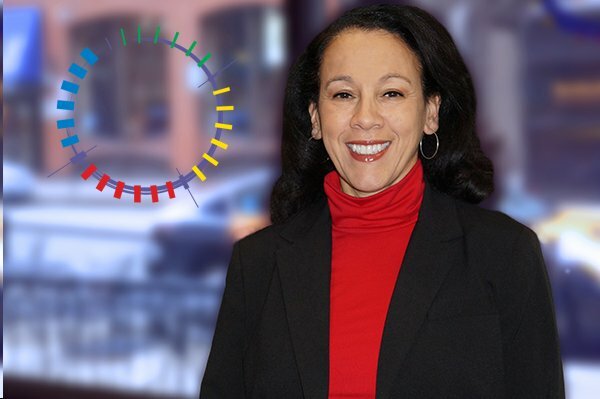 Juana has a great partnership with Conexion – a Boston-based leadership and mentoring program that seeks to transform high-potential, mid-career Latino professionals into innovative executives. She will be speaking to the Conexionistas, MIT students, and community leaders on Hispanic Heritage. MIT (Massachusetts Institute of Technology) will be sponsoring the event. The Diversity Council of the Carolinas has invited Juana to be there morning keynote for their annual conference held in Charlotte, NC. Juana will be speaking on The Power Of We – Leadership for our Diverse and Multicultural Society. Muchas Gracias to Belk Department Store for their vision and commitment to diversity – they providing 200 copies of Salsa, Soul, and Spirit – Leadership for a Multicultural Agefor conference participants. “The goft that keeps on giving.” Shop at Belk and show your support!